Welcome to the official website of the Zoroastrian All-Party Parliamentary Group, founded in October 2013 by myself and Gareth Thomas MP as a means increasing awareness of this ancient and venerable religion in Parliament. We also exist to promote the interests of the British Zoroastrian community, both inside and outside Westminster, as well as improving links with fellow Zoroastrian parliamentarians from around the world. Our page on the official register of APPGs can be found here. However, please use this website as your main port of call for information on the history of this religion, our activities in Westminster as well as contact details if you are interested in finding out more about us. I hope that you will be able to join us in the future. It served as the official religion of the Achaemenid Empire from the reign of Cyrus the Great until around 330BC. Under Cyrus, the Empire became one of the largest in world history, with Zoroastrianism forming the core of the Persian legal system, now epitomised in the Cyrus Cylinder, considered by many scholars as being the first recognisable Bill of Rights. However, following the fall of Cyrus’ dynasty, the Zoroastrians in Persia were persecuted, forcing many to flee eastwards into the Indian subcontinent, which is now home to the majority of the world’s Zoroastrian Parsees. Today, Zoroastrians are amongst the world’s smallest religious groups, numbering only a few hundred-thousand adherents internationally. Despite this, the Zoroastrian Community remains highly respected and influential, especially in India. Zoroastrianism is believed to be the oldest monotheistic religion in the world. Zoroastrians believe that there is one creator God, known as Ahura Mazda or Wise Lord and that Zoroaster is His Prophet. The wisdom and teachings of Ahura Mazda are set out in the Gathas – 17 hymns that are believed to have been composed by Zoroaster himself. Zoroastrians usually pray in the presence of some form of fire and water. Indeed, the centre of worship for most Zoroastrians is the Fire Temple or Agiary – where the ash of the fire is seen as the basis for ritual. Zoroastrians traditionally pray several times a day, often in the presence of fire (which can take the form of any light source) and water. Zoroastrians also practice head covering in a similar way to Judaism. Despite their small numbers, Zoroastrians have been influential in Indian, Persian and even British politics for centuries. The Zoroastrian Trust Funds of Europe (ZTFE) was founded in 1861, making it the first and the oldest of the Asian Faith-Based Organisations in the UK. The first three Indian Members of the House of Commons, Dadabhai Naoroji,Sir Mancherjee Bhownagree and Shapurji Saklatvala were all Zoroastrian Parsis and between them, they represented the Liberal, Conservative and Communist parties. 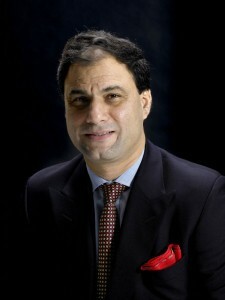 When he was appointed to the House of Lords in 2006, Lord Bilimoria became the first Parsi to sit in the Upper Chamber. In India, Parsis also enjoy prominent positions in politics, business and the law. The world-famous Tata Group was founded by a Zoroastrian family and until a few years ago, both the Chief Justice of the Indian Supreme Court and Solicitor General of India were Parsis. Although it has been over a century since Dadabhai Naoroji took his seat in the House of Commons, the Zoroastrian APPG hopes to make up for lost time – ensuring that this ancient community is given the representation and public awareness that it deserves.